“The bourbon: During America’s rough and tumble early days, the term “bib & tucker” was used to describe your finest attire, the kind you’d wear to a wedding or special dance. Along those same lines of thinking, we’re putting forth our finest. 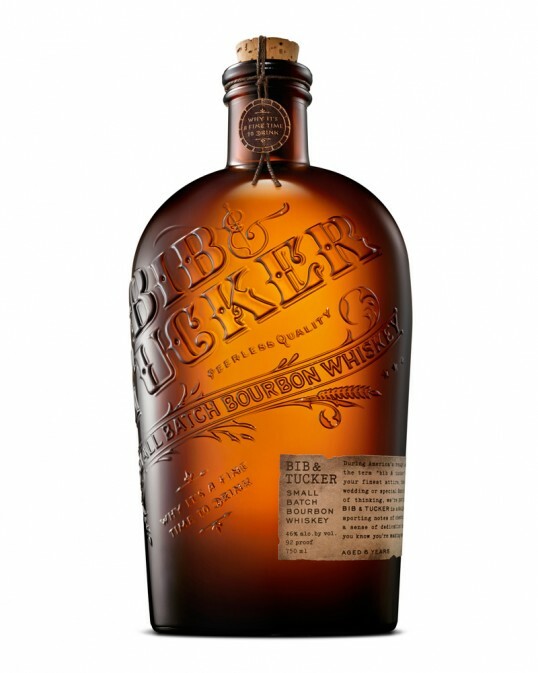 Produced by 35 Maple Street Spirits, Bib & Tucker is a delightfully smooth bourbon sporting notes of chestnut, and it’s crafted with a sense of dedication that can only come when you know you’re making something truly special. Nice. I like it. I’d be tempted to just move the label to the back.